Beth is an attorney in the area of trademark, copyright, licensing, and business law. Her practice focuses on international and domestic trademark prosecution, licensing, patent and trademark infringement litigation, commercial litigation, intellectual property opinions, and transactional counseling. Beth has experience counseling clients of all sizes on a wide variety of intellectual property, litigation, and business issues. She has been involved in patent infringement litigation, inter partes review proceedings, litigation that resulted in multi-million dollar judgments awarded to her clients, and has also coordinated the closing of large financial transactions. She regularly counsels clients on brand protection, trademarks, and licensing issues. Beth has also successfully handled appeals in state court. Early in her legal career, Beth gained business experience representing clients in commercial litigation and corporate matters. She later built on that business experience coordinating the closings of commercial real-estate investment deals and financing transactions. 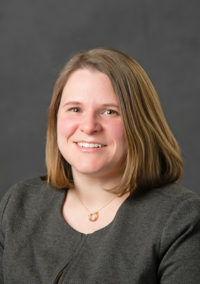 Beth attended Chicago-Kent College of Law and graduated with honors. 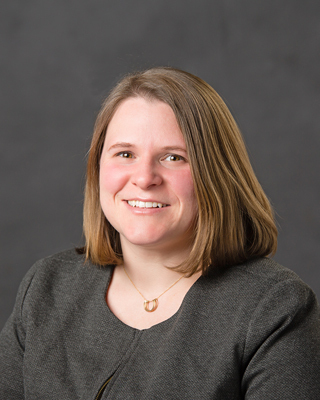 While pursuing her law degree, Beth worked as a research assistant for the dean of Chicago-Kent College of Law and as a judicial extern for the Honorable Blanche M. Manning of the Northern District of Illinois. Disclaimer: The material contained in the McCracken & Gillen LLC website is provided for informational purposes only and does not constitute legal advice. The information contained in the McCracken & Gillen LLC website and receipt of such information are not intended to create a lawyer-client relationship with McCracken & Gillen LLC or any of its attorneys. Readers of the McCracken & Gillen LLC web site should not act upon any of the information contained therein without seeking professional legal counsel. Although we strive to keep the McCracken & Gillen LLC website current and accurate, the content on the website may not reflect current legal developments. McCracken & Gillen LLC expressly disclaims all liability with respect to actions taken or not taken based on the content of the McCracken & Gillen LLC website. McCracken & Gillen LLC is an Illinois limited liability company. Any reference in the McCracken & Gillen LLC website to "McCracken & Gillen" refers to the same Illinois limited liability company.